Second Grade will be doing a timeline project. 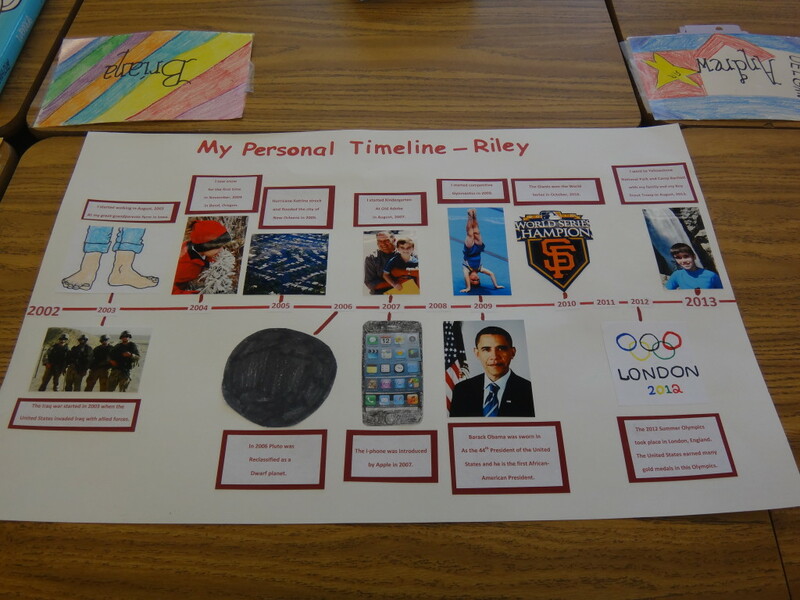 Each student is asked to create a timeline of important events from their lives. Cut a long sheet of paper from a paper roll, or you can tape a few pieces of paper together to form a long sheet (final paper should be about 2 feet long). If you need a piece of paper, please see your teacher. Lay it out on a table horizontally and using a ruler, draw a line through the middle, dividing it horizontally. Above the line, write the key events of your child’s life, left to right, leaving a few inches of space between each. Below the line, put the date and let your child illustrate each event—either with family photos, or with drawings.